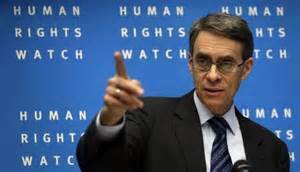 Human Rights Watch (HRW) obtained official documents dating to 1992 and 1994 ordering an end to Kurdish encroachments on Christian land in Kashkawa and Rabitki, two villages in Nahle Valley. Paul Khashaba, Shmael Nanno and Mikhael Benjamin said those encroachments continue. The article by HRW states: On April 13, the Asayish, the political police of the Kurdish Regional Government, set up roadblocks at the exit of Nahle Valley, 10 kilometers north of the city of Akkre, and checkpoints throughout the region prevented Christians from reaching Erbil, including those not intending to protest, several Christians said. However, the Kurdish neighbor, who works for a senior leader of the president’s clan, continued building his house, four Assyrians said, adding a roof in the middle of the night in early April. On 19 APR 16 NEC-SE posted the article: Really, Did Billions of U.S. Taxpayer Dollars and 4,497 U.S. Combat Deaths Bring Democracy to Iraq? In the article we stated: For now this corrupt system, called the KRG, will continue to fulfill a dream of “Kurdifying” yet another Assyrian Christian village for its economic benefit at the same time the Assyrian Christians are being systematically eradicated by ISIS, which has many Muslim Sunni Kurds serving within its ranks. As of this date, Ibrahim Hajji Yasin and his family members have moved more than 275 head of cattle into the Assyrian Christian village of Zoly and begun the construction of three new homes on Christian lands. We further stated: The KRG and their global handlers want an Assyrian Christian and a Yazidi superficial representation in the KRG and the Peshmerga to justify forcing the establishment of a “sovereign” Kurdistan on these peoples. But the reality is, they do not really want an Assyrian Christian and a Yazidi independent representation or voice because it may delay the self-imposed timeline to achieve statehood for their economic benefit and not that of the people living in the region or for the security benefit of all the nations within the region to include the United States long-term footprint in the region. On 21 APR 16 NEC-SE posted: Will Congress change its stance on the Assyrian genocide After the Destruction of Nineveh Gates? Secretary Kerry’s statement was surprising given that Congress made it very difficult for the DoS to recognize the genocide given how the non-biding H. Con. Res. 75 was worded. When the House decided not to formally recognize the Assyrians Christian ethnicity, it put the White House in a very difficult position; namely, the recognition of genocide against Assyrian ethnicity as a genocide against Christian denominations which NEC-SE stated will now be seen a declaration of war by Global Christianity against the Islamic State by the majority of Muslims in the region. The House and the Senate will have to answer to both the Assyrians Christians, the White House, the Secretary of State, and the global media as to why they actively decided to take the Assyrian name out of the ethnic recognition. It was and is our hope that this action was not attributable to the influence of lobby groups and regional players who may have applied pressure for the change in the language of the House non-biding resolution. NEC-SE added: On 18 APR 16 a high-ranking KRG official stated that the Kurds must now concentrate on working with the Christian religious leaders in northern Iraq given the political groups have failed them. This comment simply means that from the KRG official perspective, the Assyrian Christians and others, to include Yazidis, are nothing more than just a religious minority in their concept of a “greater Kurdistan”, and that they no longer deserve a political voice in the region as an ethnicity. For the United States that gives the Muslim Sunni Kurds $450,000 million USD of hard working American tax payer monies a month to execute the war against “ISIS” in both Iraq and Syria it is simple cowardness which forces them to stand by and allow the KRG officials to make such outrageous statements and target the Assyrian and other Christian leaders in Northern Iraq because the Assyrian Christians in Zoly simply believed that they are more important than 300 heads of cattle who have now replaced them in their own ancestral homeland with KRG approval.